I am an adherent of the Law of Attraction and I have manifested things, situations, TIMELY pieces of good fortune when I need them. Amd I acknowledge that a contributing factor to my current set of circumstances has been some poor choices on my part. Not the entire reason, but as I’ve said before, I’m no angel. 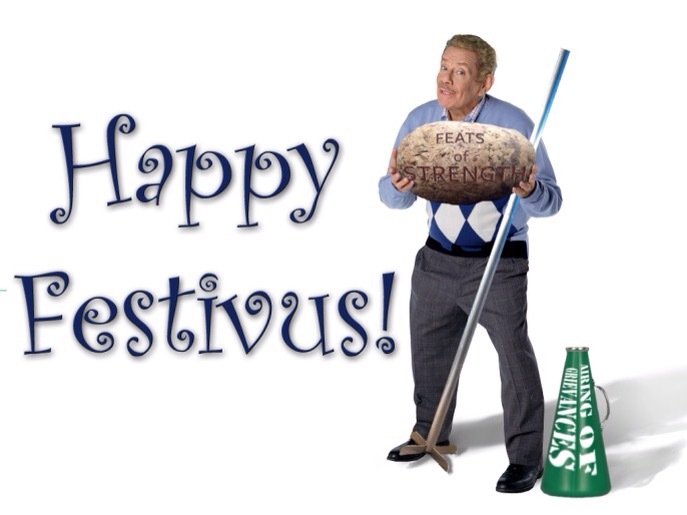 I think it’s related to Festivus. Calm. 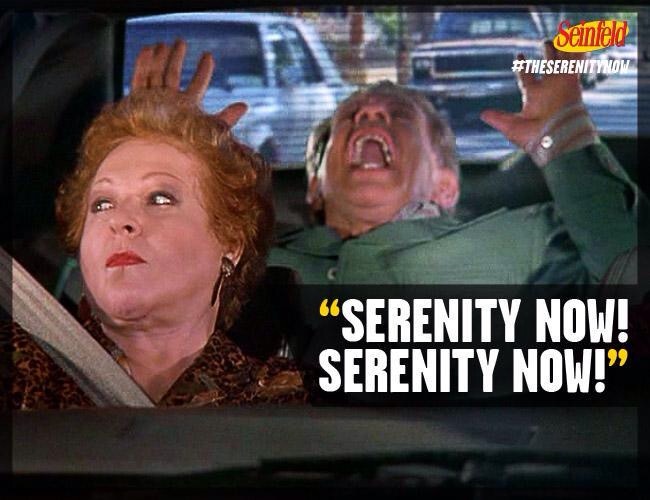 Serenity. Attitude of Gratitude. I don’t need the home this very minute. I am sheltered, fed, clothed, clean and warm (thanks to my trust yak hair blanket. That’s right, I said “yak.” Lightweight and WARM. Get one. Or mortgage your house, get a bunch of yarn for one your knitting friends and get a sweater). The bank account will get resolved. The charger can be replaced and the phone back on. Just takes money. And that can come at any time from anywhere. So in this moment, I choose to be calm, to be grateful for what I have and to trust the Universe (I know there is something bigger than us out there. Whether it is the God I was raised with or the Force or someibg else, there is something there) to help me. It hasn’t let me down yet.